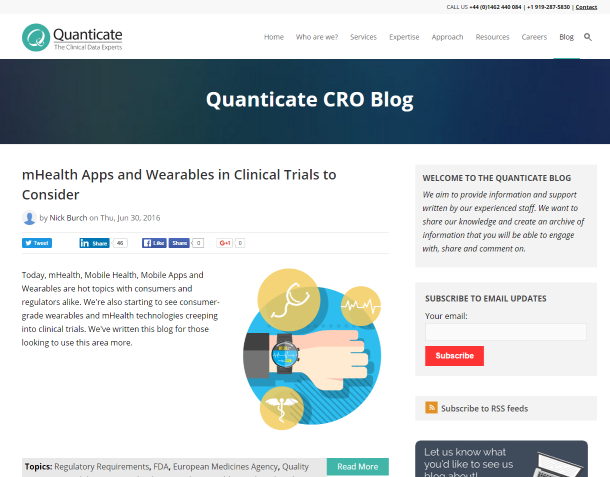 Join our readers list of pharmaceutical industry peers and subscribe to the Quanticate Blog to receive quality posts straight to your inbox. We usually publish new blog posts a couple of times a month and believe in quality over quantity. Our blog reaches over 8000 unique visitors per month as our posts have proven valuable to our readers.